When you were in your last relationship, were you always honest with your feelings? Did you relay them openly to your partner? What about while breaking up? Has the story about why you broke up changed with some and hindsight, and could you be more honest with that ex now than maybe you were during the time you were together? On last week’s show, therapist Vienna Pharaon guided Ben through some patterns that came to light in his correspondence with two of his ex-girlfriends. Today, Diana Gasperoni of BeHER walks Jacqueline through if zenning her way into a peaceful place means she doesn’t embrace conflict, and what she can do the next time she’s in a ten-year relationship and things just aren’t right anymore. 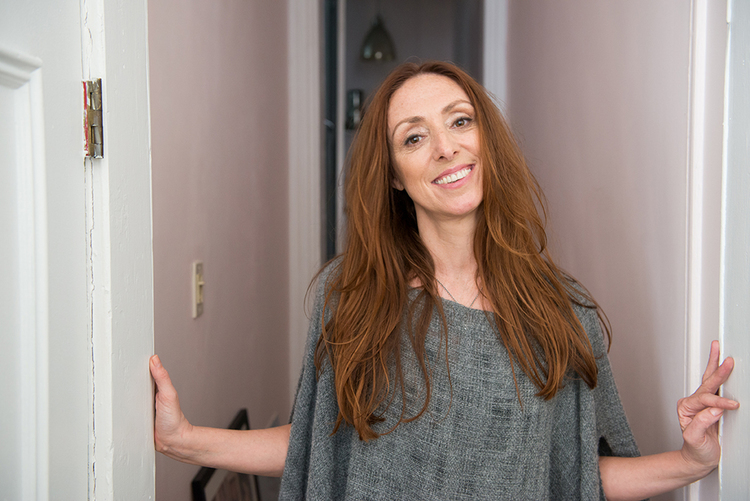 Diana Gasperoni is the founder and a therapist with Be Her Now, a group of therapists and life coaches in New York City that help women become their most authentic, powerful selves. She has a Masters of Social Work degree from NYU, completed a I-yr program certificate from Center for Modern Psychoanalysis and the Center for Group Studies, has a Bachelors in Psychology from Salem State College, and is a long time yoga teacher and student to the great Master teachers of the past and present. You can find her at BeHER-now.com and on Facebook, Twitter, and Instagram. Next Post Boring 1st Dates and Pastry Chef Paulette! Pingback: Coming 1/25: Pastry Chef Paulette Goto! Pingback: Coming 2/8! Jolie Kerr Schools Us on Getting… Icky Things… Outta Our Sheets!